Fanny packs might be the farthest thing from fashionable, but sometimes you've just got to boycott those laws for a night or day out when lugging around a purse just isn't convenient. Fortunately, one creative designer has come up with a moderately more fashionable alternative that won't make you look and feel like a tourist! 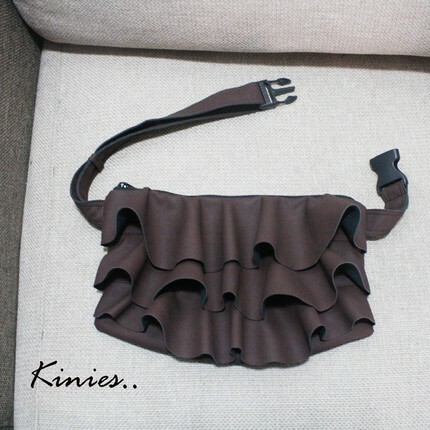 Kinies' Etsy store features all types of handbags, and while they all look pretty great, it's the Waist Purse that's especially exciting because it's an anti-tourist fashion fanny pack!! 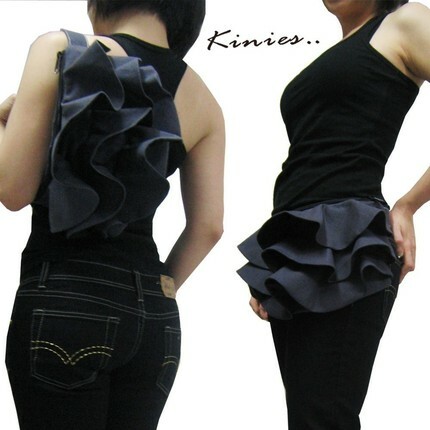 Ruffles are in right now and when you put this bag around your waist it simply feels like a fun little accessory, and it's just a bonus that you can stash things in it! It can also be converted to be worn over the arm, but where's the fun in that? Yes!! How do i buy this frilly fanny pack?? I LOVE IT!! Is there stores that sell this brand in Canada? ?